Is it possible to cyberjack modern airplanes? Professor David Stupples will give a presentation at the 2014 Science and Information Conference (SAIC) which addresses how aircraft avionic and flight control systems may be subverted in a cyber attack. 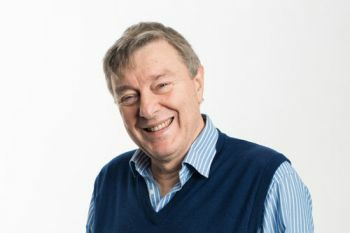 Professor of Electrical and Electronic Engineering, Professor David Stupples, will be grappling with issues around cybersecurity and air transportation at the 2014 Science and Information Conference on 27th August. The SAIC (27th-29th August) is a premier venue for researchers and industry practitioners to share their new ideas, original research results and practical development experiences from Computer Science, Electronics and Communication related areas. Professor Stupples's presentation, 'Is it possible to cyberjack modern airplanes?' will investigate the feasibility of this happening by discussing the way in which avionic and flight control systems of modern aircraft function. He will also explore how these systems could be subverted, as well as methods of protection and prevention of cyberjacking. Alongside Professor Stupples, the SAIC will also feature presentations from several scientists and technologists who are leaders in their respective fields, such as Professor Mischa Dohler of King's College London, who will be speaking about Machine to Machine (M2M) communications. Please visit this link for more information about the conference.